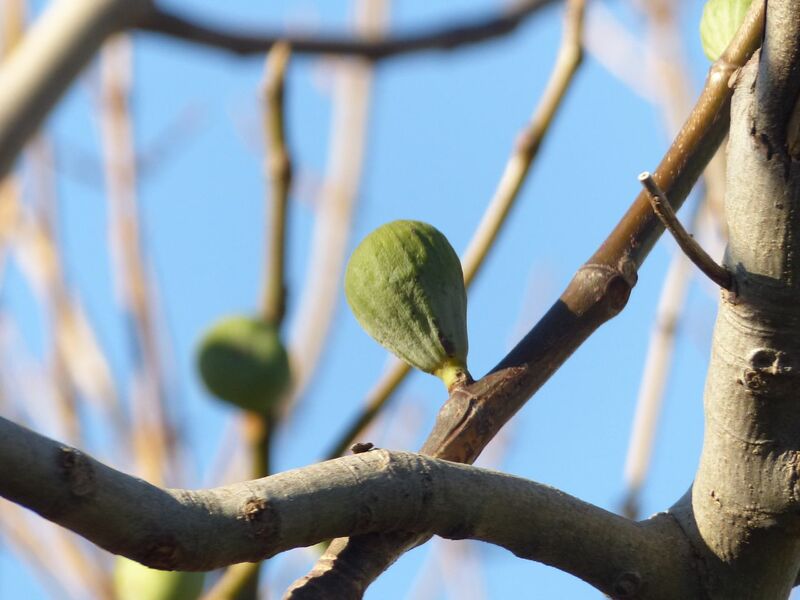 Brook: a joyful, quick, enduring flow of energy, such as water tumbling down in a mountain cascade, or the fig below, sprouting with the power of life out of a dead-looking but quickened limb. The word “fruit” is the most common form of brook energy in the plant world. In the social world, brook energy was once a form of will linked to enjoyment and desire, as in, “I brook no other.” In the bodily realm, “brook” means to eat with pleasure, or, in other words, to devour. No wonder that Adam and Eve were grabbing at fig leaves back in the day!